Insulating and weatherizing your attic can provide some of the biggest energy savings in your home. You can save up to 30% off your heating and cooling bills while making your home more comfortable year-round. Do you have drafty rooms in your home or high heating and cooling bills? If so, consider weatherizing and insulating your attic. In most homes, the attic is where you lose the most energy and money on heating and cooling. Sealing air leaks (weatherization) and adding insulation is the most effective way to keep heat in and your home cozy and comfortable in the winter. It also helps keep cool air in during the summer, providing year-round comfort. The best part—it can save up to 30% or more on your heating and cooling bill! There are a few signs that you might need attic weatherization or insulation. Do any of these describe your home? If you have safe access to your attic, you can check for air leaks and insulation levels yourself. Or you can have a professional inspector determine your attic insulation and weatherization needs. If you have vermiculite insulation, don’t disturb this insulation, it may contain asbestos. Contact a professional for assistance. Look out for nails and walk only on the joists (boards, not open spaces). Consider wearing a mask to avoid breathing dust or other harmful particles. You want to check for two things—air leaks and insulation levels. First, look for air leaks around places where ducts, electrical wiring or other hardware enters the attic. If you have insulation, you may not be able to visually see these areas. Next, do a quick check of your insulation levels. 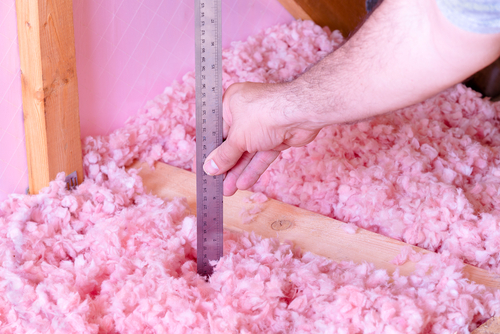 If your insulation is at or below the level of your floor joists (the beams going across your attic floor), then you probably need more insulation. Also, check to make sure the insulation is evenly distributed across your attic, as it can sometimes be lower around the edges. For a more accurate check follow this Energy Star guide on how to measure and check the insulation requirements for your home. The minimum recommended insulation level is R-30 for warm climates, R-38 for temperate climates and R-49 for cold climates. Professional Check. Hiring a professional to check your attic weatherization needs is recommended if you have limited access, find unsafe insulation types, or don’t feel comfortable doing it yourself. Even if you do the inspection yourself, it’s still a great idea to get a Home Energy Checkup where you will receive a professional inspection and custom plan for all your energy efficiency, home insulation, and weatherization needs. The Home Energy inspector can also help you with costs estimates, rebates and financing options! The goal of attic weatherization is to close air leaks between your attic and the rest of your home. Sealing holes around ducts, attic doors, electrical wiring and other openings between your home and attic keeps cold attic air from coming into the rest of your home in the winter and keeps warm air from escaping out and making your heater work harder. Putting in a good seal between your living spaces and your attic will increase the comfort of your home and save both energy and money. After you have a good barrier, the next step is to insulate your attic. Even if there is no airflow, a cold attic can still make your heater work harder to warm your home. 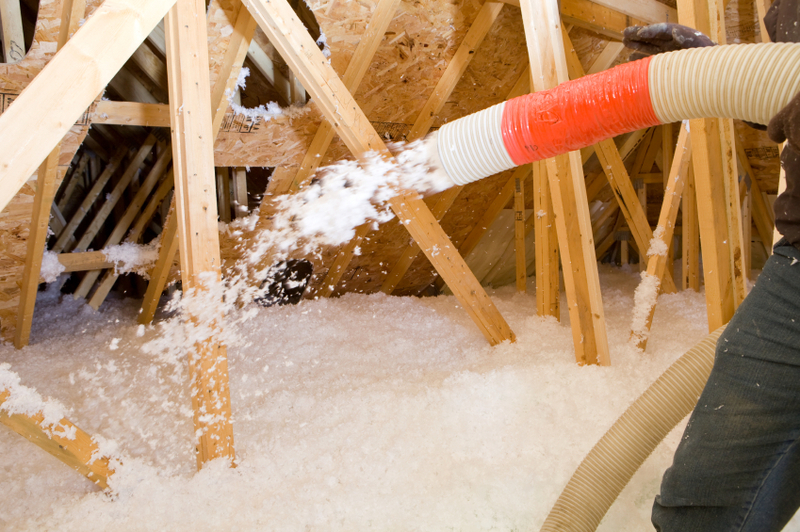 Adding insulation to your attic will make your home more comfortable and lets your heater and air conditioner work less. The two combined—weatherization and insulation—can reduce your heating and cooling bills up to 30% or more! Choose professional or DIY. This project can be done yourself, but you may want to hire a professional to assess the problem areas, determine the right solutions, and complete the installation. Typically, this project will cost between $500-$800 or more if you do the work yourself, and $1,000 - $2,000 or more for a professional, depending on the work required. Consider DIY if your attic is accessible and not too difficult to move around in, and you enjoy tackling bigger home improvement projects. If your attic has limited workspace or ventilation, you may want to hire a contractor to do the work. Time to get to work! If you decide to do the work yourself, check out these Do It Yourself guides from Energy Star and Family Handyman to learn how. Be safe! Follow all the safety guidelines and recommendations. Otherwise, find and hire a professional to do the job for you. In many areas, there are experts that specialize in weatherization and insulation. Check for rebates. There are often rebates and financing options for this action! Check the resources section below for information. Also, check with the professional who inspected or did the installation work. They can generally help with finding the right rebate or financing program for your home. Extra Credit: Now that your attic is sealed and insulated, finish the job and weatherize your home and insulate floors and walls. Check out these other Action pages to get started. You will be amazed at how much your heating bills drop when your home is completely leak-free and insulated!